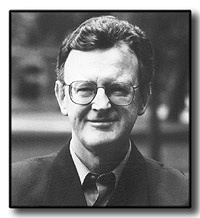 William Martin is the recipient of the 2005 New England Book Award for Fiction, given by the New England Booksellers Association to an author "whose body of work stands as a significant contribution to the literature of the region. " That work includes seven novels, an award winning television documentary on the life of George Washington, and a horror movie that is now considered a cult classic. He has been hailed as "a master storyteller " (Seattle Post-Intelligencer) and a writer "whose smoothness equals his ambition " (Publisher's Weekly). He has written three New York Times Best Sellers and there are over two and a half million copies of his books in print. For his novels, he has traveled across Ireland, England, France and the United States. He has hauled lines on a three-masted schooner, taken the helm of a nuclear submarine, ridden a catapult off an aircraft carrier. He has explored the remains of deserted towns in the woods of the White Mountains and when the tide is right, on Cape Cod sand bars. And he has wandered the grounds of Mount Vernon in the middle of the night, looking for the ghosts. But for every day of research adventure, he has spend thirty days buried in library stacks, and a hundred days alone at his desk. He has lectured to groups as diverse as high-school history classes, the United States Naval Institute Conference, the Mount Vernon Symposium on George Washington, and the Massachusetts Historical Society. He has made numerous television and radio appearances in connection with his writting as well as narrate and appear on an episode of PBS featuring his work The American Experience.